This post is by Ryan Miller, Vice President of Global eCommerce Strategy at Rakuten. Among other duties, Ryan helps merchants get set up on Rakuten’s global marketplaces, including Rakuten Ichiba in Japan. Rakuten has a share of 27% in Japan’s mature ecommerce market, and there is strong demand from consumers for foreign brands, making Rakuten Japan an attractive platform for cross-border selling. With 44,000 sellers, 105 million members and sales of $17bn, Rakuten Japan is one of the largest ecommerce platforms in the world. Rakuten’s Japanese ecommerce platform, called Rakuten Ichiba, began life in 1997. It’s an online marketplace which allows vendors to sell their goods in the way they want to. Rakuten Ichiba does not sell any products itself – it’s entirely a third-party marketplace. Since 2005, Rakuten has been expanding internationally through acquisitions and joint ventures. It purchased Buy.com in the US (now Rakuten.com), Priceminister in France, and Ikeda in Brazil (now Rakuten Brazil) among several others. Rakuten was also an early investor in Pinterest and owns messaging app Viber, which has over 600 million users. Even with Rakuten’s global expansion, and diversification into online media, the majority of its business still lies in Japanese ecommerce. It’s the market leader and presents a compelling proposition to brands and merchants from all around the world. When looking at ecommerce in East Asia, many businesses think first of China. And why not? It’s the most populous country in the world, with a fast-growing economy and consumers who have hungrily latched on to the ecommerce model. However, Japan has a large and mature ecommerce market. In 2015, Japanese ecommerce generated approximately $90bn in sales, compared to $340bn in the US and $670bn in China. GDP per capita is four times that of China and online shopping is extremely popular, with more than 90% of consumers actively shopping online. To cap it off, return rates are extremely low in Japan. In Japanese ecommerce, marketplaces dominate and of them Rakuten is the largest. The most recent figures show Rakuten has a market share of 27%, Amazon Japan has 12% and Yahoo Japan has 6%. Nearly one-third of all consumer ecommerce in Japan is through Rakuten. What’s Rakuten Japan like as a marketplace? Rakuten Ichiba is like a huge shopping mall in the virtual space. All vendors have their own shop with their own branding, selling the goods they want to sell. Rakuten provides an online shopping space which merchants can design and work as they like. Rakuten provides an online shopping space which merchants can design as they like. Sellers have their own landing page within Rakuten.co.jp that takes visitors straight to their store on the marketplace. Merchants have a great deal of flexibility in the HTML they can provide, so there’s a very different buying experience to a strongly catalog-driven site like Amazon. There’s no equivalent to the Buy Button to group together multiple listings on one page. On Rakuten the store holder has complete control over how their products are displayed. The overall model is somewhere between Amazon’s catalog-driven approach where products are very strictly categorized and the looser listing-based approach typified by eBay. What kind of products are sold on Rakuten Japan? International brands are very popular such as North Face, Abercrombie and Burberry, among others. In addition, there are a huge number of major Japanese brands. As a general rule, if you can’t get it domestically in Japan then Rakuten will have it, but if you can buy it in a store locally then Rakuten will have it at a lower price. Rakuten sellers include both manufacturers and resellers, but brand owners do have an advantage. They tend to have more depth in their product selection and, because they are selling direct to consumers, brands have higher profit margins than resellers. In terms of product categories, there is no real drive to attract certain types of products. Rakuten Ichiba has grown to a level where it has a huge number of different products and categories. Most are well covered although some are more popular than others. Clothing and apparel, for example, is one of the more popular categories and offers a host of opportunities for foreign brands. However, Ichiba is always looking to attract the best brands in the world – and the bigger the name the more they will do to attract that brand. Who buys from Rakuten Japan? Rakuten has over 105 million buyers in Japan, which is more than 80% of the entire population. It really is anybody and everybody. Rakuten buyers stretch across all kinds of demographics: old and young, rich and poor. We find that more than anything else they value high quality content. As an international merchant, it’s not enough to take content from a Western marketplace or webstore and translate it into Japanese – you need to put a lot of work and thought into it. It’s a defining characteristic of consumers in Japan. They look for extensive and high quality content, even for lower priced items. 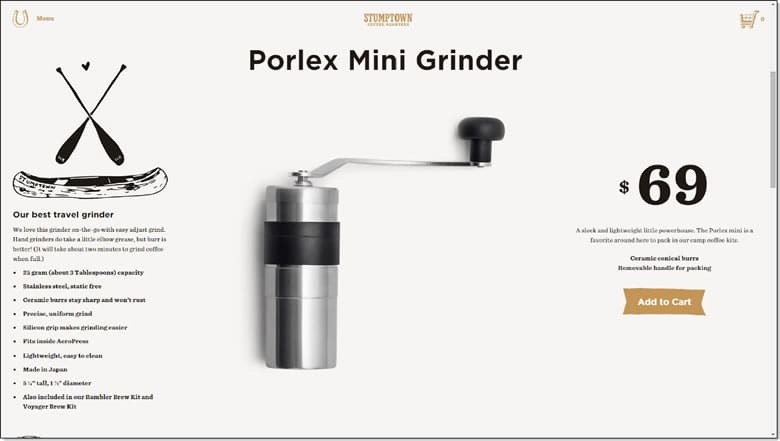 To give you an example; I recently bought a travel coffee grinder. Out of interest I Googled the product to see how it was sold in the States. On the one hand there was the content on the US website, which was close to the bare minimum. There was nothing but a basic explanation and a few bullet points. Switch to the Rakuten Ichiba site and it was a different story: an in-depth description, lots of product photos, reviews, and a video showing how it works. It’s a huge amount of information for an item which only costs $40, but this is what consumers in Japan want. People in the UK and US may be driven largely by price and convenience. Picture a typical ecommerce site – everything is geared towards making the process as easy as possible with a very large “Add to Cart” or “Buy Now” button. There may also be price comparisons to prove you are getting the very best deal out there. It’s quick, easy and cheap. Japanese consumers are different. They are conscious of price, but they are much more concerned with quality. Japanese consumers are, by nature, careful and considerate. They take time to plan their purchases and research the best options available to them. That brings with it certain expectations of content quality. They want a huge amount of detail even for the cheaper and more basic products. If you look through the Rakuten site, you’ll see a lot of user-generated reviews – the more information a listing has, the better it performs. For merchants, the Japanese market offers a large, well-developed ecommerce market with very low rates of return. There are other interesting ways in which selling to Japan can complement selling in Europe or North America. For example, the average female shoe size in the US is 8.5, but in Japan it’s only 6.5. Merchants might find that stocks of smaller-sized items that sell poorly at home become their most popular sizes in Japan. Rakuten has a lot of foreign brands and sellers. But depending on how they are set up it can be a little complicated. To set up on Ichiba a brand needs to have a local business entity and a local bank account. Some brand owners will already have a local business entity set up in Japan, so for them the process will be straightforward. However, many others do not. Rakuten has a network of partners that can set up a store on behalf of a brand. They work behind the scenes as an intermediary, contracted with both the brand and Ichiba to run the store (or at least set it up) on behalf of the brand. Examples include i-Order and Brangista. Each new merchant is rigorously vetted. Japanese authorities work hard to root out fake items, so before a brand can list on Rakuten it has to undergo an extensive screening process. A brand will also have to submit the design for the store and the Japanese screening team will look at it and approve it. Today the process works smoothly, but it was a little more difficult for the first few foreign businesses – simply because a lot of the screening and background checks required for the Japanese market do not apply to foreign businesses. Over time it’s become much easier, especially for brand owners who have quick and easy access to all the information they need. That’s not to say only brands can sell through Ichiba – there are resellers, but the product has to be genuine. Take Crocs shoes, for example. There are parallel imports of Crocs, but the reseller will have to prove their authenticity. The process of selling is relatively straightforward. First you consult a Rakuten sales advisor, then there will be a process of business verification and brand screening, which should take about four weeks. Next you list your product with the help of the launch team and from then on you can work closely with an account manager to increase your sales. Provide a lot of information about who you are as a company. It’s a great way to instill trust. One of the key pieces of advice I can give is to provide a lot of information about who you are as a company. It’s a great way to instill trust in the eyes of the consumer. Take the example of Blue Nile – one of the world’s biggest jewelry retailers. Blue Nile were one of the first big foreign brands to list on Rakuten Ichiba and they found out a great deal in their first year. One of the key things was that a lot of content could be used across products. To every product page they added a huge amount of content about the background of their company. To a Western consumer the content might seem excessive, but it worked with the Japanese audience. As a result, their sales volumes were improved. It seemed that all the content helped their reputation as an unknown brand at that time. In trying to establish a reputation with Japanese customers it’s important to add a lot of content about the origins of the company. It makes product pages much longer but it’s a great way to build trust with Japanese consumers. Rakuten’s fee structure can appear a little complicated at first. There are four different pricing plans and of those two are the most suitable for cross border merchants. A fixed monthly charge between $300 and $500 depending on which plan you choose. A commission per transaction. Rates relate to the price and sales volume of an item. The higher the price or sales volume, the lower the effective commission. All in all, you should expect to pay around 8% to 10% commission plus the fixed fee. If you work with a partner company they may levy a charge, depending on the agreement you have with them. When selling products, it’s important to update prices. Exchange rates have been volatile in recent years especially between the Yen and USD – so keeping prices updated and relevant is extremely important. Equally, although customers in Japan buy primarily on quality, they are also price conscious. So if they come across two products of equal quality they will obviously go for the least expensive. When a merchant goes live Rakuten assigns an Ecommerce Consultant (ECC). He or she will act as an advocate for the merchant. Because of the commission there is a shared interest in the success of each store. Rakuten wants to help merchants increase sales, and the ECC is there to do just that. So every week or two the ECC will call the merchant to review site analytics and which products are selling best. The consultant can also let you know about upcoming promotions you should be participating in for your category – sales can be an enormous part of being successful on Ichiba. Once a business is set up on Rakuten, the ongoing relationship with any partner company used will depend on their specific requirements – sometimes partners are used just for the registration process. There are many who get past this first phase and are ready to start selling, but then they experience problems. Day-to-day operations of the store can be difficult. As a brand you need to have someone either within your staff or working closely with you who can read and write in Japanese, because the entire web interface to sell on Rakuten Ichiba is in Japanese. As mentioned earlier, content needs to be of the highest quality in order to succeed, so it needs to be fluent and well written. Even if you have a writer who speaks Japanese, their listing copy may still not be good enough to compete with other Ichiba stores. To address this problem, Rakuten is working to find partners that can take on daily store operations, manage content creation and carry out updates, as well as providing a Japanese entity for the merchant. Rakuten is dedicated to providing buyers with the best customer service possible – so merchants need to provide both telephone and email customer support in Japanese. Many partner companies can help with that. As part of the customer service operation it’s worth noting the returns policy. There is no set policy but the culture in Japan is very different to the UK and the US. Rates of return are extremely low – it’s just not something Japanese consumers tend to do. When it comes to shipping, customers in Japan are prepared to wait a little while for their products. They accept that if they are getting a unique item that they cannot find locally in their country (or is overpriced) it may take a little time to get it. However, Japan is a relatively small country so domestic shipping speeds are relatively quick. Cross-border merchants can choose between direct cross-border or in-country warehousing models. It all depends on the nature of the products, and the price points at which the merchant is selling. For example, Blue Nile ships via a direct cross-border model directly from Seattle to Japan. They offer free shipping via FedEx, which is much less of a cost issue when you’re selling $1,000 items. At the other end of the scale is OtterBox, which sells premium smartphone cases. OtterBox do not warehouse in-country but send direct to Japan from their manufacturing base in China – which is obviously much closer than the US. If you have sell large items such as furniture or household goods, on the other hand, you may want to consider an in-country warehousing option. Rakuten has third-party logistics (3PL) partners who can help as well as Rakuten Super Logistics in Japan (also in the USA) which provides similar services to Fulfillment by Amazon (FBA). As with other ecommerce sites each vendor is rated through a feedback system. Customers can leave feedback for each product they purchase from an individual seller. Ratings are divided up according to different factors such as speed of shipment, accuracy of item description, customer service, condition of the item and so on. Higher feedback levels can increase a seller’s search rank, whereas negative feedback can damage that rank. What would it take to get thrown off the site? Suspensions are not common on Rakuten Ichiba. There is no minimum rating, but there is an onus on the seller to maintain a good level of service from the store and accurately represent their items. The higher the feedback rating the more visible and successful a store tends to be be. Success or failure on Ichiba can depend on how a company approaches the process. Many will come to the task focused on keyword research and it’s true that on Rakuten – as with anything else on the web – having the right keywords can give you a competitive advantage. The key to everything is quality. Japanese consumers have certain expectations. The ECC can also help with optimizing listings and growing sales. They have surveyed the market and have a good understanding of what does and doesn’t work. They can guide your content creators in the production of keyword-optimized content. However, the key to everything is quality. Japanese consumers have certain expectations. They want to know a lot about the products they buy, and the more thorough content descriptions are then the more likely it is they will make a purchase. Overall, quality tells. Customers reward those brands which offer good products and high levels of customer service. Getting the most out of the platform depends significantly on what a brand puts into it. Last but not least there are some regulations, restrictions and taxation considerations to bear in mind. A brand may encounter restrictions surrounding pharmaceutical or beauty items, for example. However, quantities up to 24 are considered personal imports, and the goods are not subject to commercial import regulations such as product registration and ingredient testing. Rakuten is able to research the market and provide a competitive and regulatory analysis, depending on the nature of the products. If there are any potential restrictions, we will either tell the brand about them or refer them to a partner with more expertise on that particular area. In terms of taxes and duties, if a brand is running a direct cross-border shipping model then personal imports are exempt from duty if the value is under 16,000 Yen, which is approximately $150. Rakuten Ichiba is the largest online marketplace in one of the most highly-developed ecommerce markets in the world. It has an active and highly knowledgeable buyer base with plenty of demand for high-quality products which Japanese consumers cannot readily buy at home. For those foreign brands and merchants who approach it in the right way Rakuten represents a very exciting proposition. This post was written with Tom Cropper and Andy Geldman. You may find a number of UK sellers reluctant to invest the time and effort setting up on Rakuten Japan after the take over of Play.com, re-branding as Rakuten and the subsequent abrupt closure of the site. I’ve refused invitations from Priceminister (Rakuten) in France as I don’t wish to get my fingers burned again. rakuten is on its way out. its in decline. most sales are of food items or travel purchases. rakuten has failed miserably overseas too, they thought they could buy their way into the online business. despite the ceo being educated overseas, he is actually quite an idiot. and as for his idea of conducting business meetings only in english to try to increase their global image, thats a laugh. not one person at rakuten speaks english. no reply to emails in english, no nothing. good luck increasing the foreign sellers, which is the only way they can maintain, never mind expand, their sales with the declining population, also a result of their close mindedness and zenophobia. the ceo said their mission was to destroy amazon. thats the funniest thing ive heard in years. dont think youre going to do much destroying of anything other than your own business with your restrictive policies. meanwhile amazon has increased its distribution centers since the time of that saying from 3 to more than 10. rakuten has been successful because there was no other platform comparable at the time. in just 16 years, amazon has gone from 0 to 14% of online sales. so rakuten they could charge hapless japanese store owners 300-500 usd a month at minimum or more in the early days before amazon established itself. amazon is 50 a month. rakuten has no english in its platform. amazon helps foreign businesses by having its platform in english and coordinated with amazon in other countries. if you know how to upload products on amazon usa you know how to do it on amazon japan. its easy to upload in bulk too. 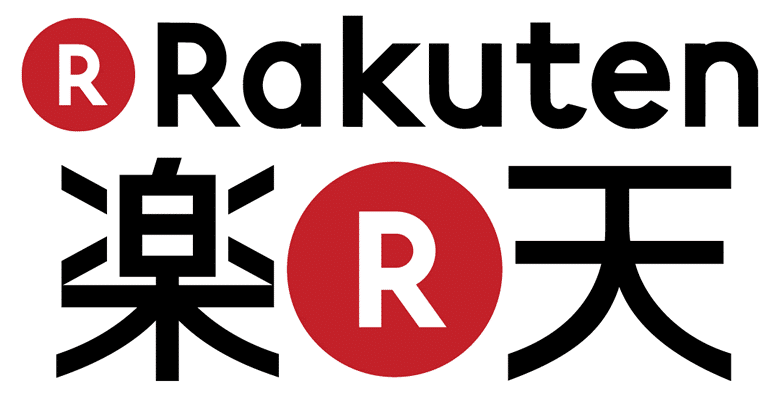 uploading in bulk on rakuten–please, rakuten actually charges you monthly more than 100 usd to do it. ridiculous. they will nickle and dime you to death. plus their outrageous monthly fees. and 4 weeks to even get up and running? what a joke. what are the rakuten managers doing to verify your products, they cant even speak or read english. you can start selling your products on amazon in 1 hour. no wonder rakuten made billions before amazon came along and showed how easy it could be. but rakuten is dying. and thats actually a good thing for both seller and consumer. amazon has one day shipping. rakuten doesnt. amazon allows hassle free returns. rakuten doesnt. as for the japanese consumer, the idea that they wont buy products simply because the webpage doesnt look like a story book dictionary is poppycock. it depends wholly on the product and its availability in japan. theres nothing special about the japanese consumer. they will complain about price like any race. many will pay high prices simply because they have no clue how to read english and cant compare with other countries. once again, it comes down to this, japan has to adapt and open its businesses to foreigners, not just pay lip service and do nothing in reality. maintaining the status quo is at their peril. rakuten is now learning this hard cold fact.